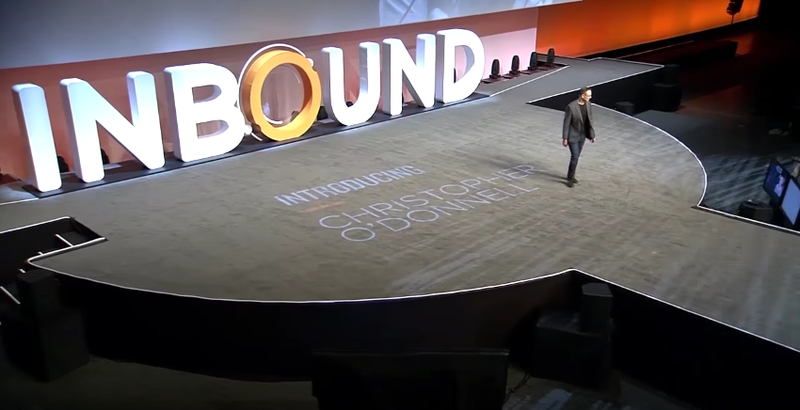 I’m always blown away by how much Christopher O’Donnell (VP of Product) and the talented product teams at HubSpot are able to ship between INBOUNDs. Hats off to them for all their hard work. This year, I decided to give my unfiltered take on the updates revealed during Christopher’s keynote. I focused on the big marketing features, but I’ll include my thoughts on some of the Sales and CRM stuff as I start experimenting with them more. As a beta tester, I have access to most, but not all of the features I reviewed. The more access I get, the more detailed I’ll make my review. HubSpot has become a beast of a product. It’s large and multi-faceted. It’s marketing and sales and CRM. 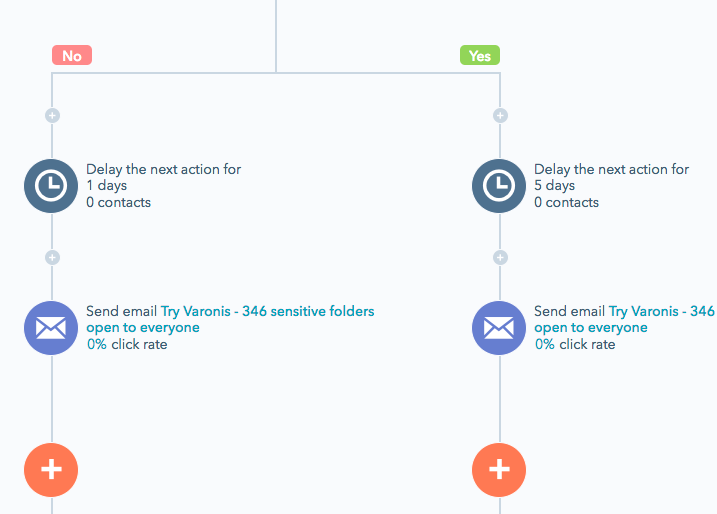 Our favorite marketing automation tool is barely recognizable anymore. As HubSpot has been, shall we say, expanding, a new crop of lightweight yet powerful marketing automation products have emerged. They can take you from zero to marketing automation in just a few hours without forking over a credit card or talking to a sales rep. Done. You just 10X’d your marketing game in under 3 hours. We’ll start with Drip or ActiveCampaign. They’re a fraction of the price and have the core functionality we need to get started with marketing automation. Eventually we’ll move to an enterprise product like HubSpot. Unsurprisingly, the very smart team at HubSpot recognized this potential vulnerability and, instead of waiting for someone else to eat their lunch, wisely built HubSpot Marketing Free (formerly known as Leadin). I’ve been using it for over a year. It takes no time to get started and if and when you want to switch to big HubSpot, you’ve got a nice head start. The only hitch is that you have to hook it up to a third party email provider like MailChimp or AWeber in order to nurture the leads you capture. This feels like a misstep to me. IMO, HubSpot should give you emails + workflows with HubSpot Marketing Free and cap the # of contacts. As it stands today, they’re still vulnerable to Drip’s free plan where you get lead capture, analytics, email and workflows for free up to 100 contacts. Even the HubSpot Marketing Starter plan, a slightly beefier version of Free, lacks email capabilities at $50/month. Nonetheless, I still use HubSpot Marketing Free on most of my sites, even ones powered by Drip or MailChimp. Because HMF captures leads from any form on your site, you get value even if you’re not using Lead Flows. For agency partners, HMF is a perfect gateway drug. It’s a low-friction way to ease clients into inbound marketing and automation and provides a smooth upgrade path to HubSpot. Note: HubSpot Marketing Free only stores 7 days of web activity for each contact. Starter is unlimited. This is a featured I’ve been begging for. The previous workflow builder was borderline unusable for complicated workflows with multiple branches. The new Visual Workflows builder is beautiful and easy to use. 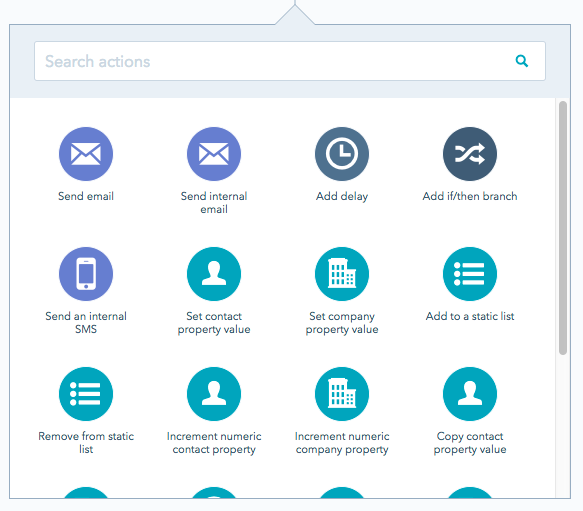 Some actions of note include setting/clearing both contact and company properties, incrementing numeric property values, sending internal SMS, creating deals, and triggering webhooks. 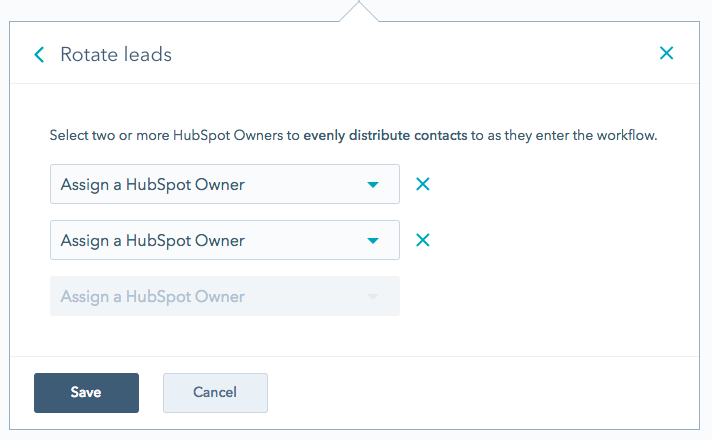 You also have a new lead rotator action, making it dead simple to round robin leads to your sales team. Nice touch. Not being able to merge branches is what drove me crazy with the non-visual workflow tool and I’m sad to see that it’s still missing. If you have a decision branch at the very top of your workflow, you have to duplicate every. single. action. along both paths. That’s a massive PITA. For example, I want to set a different delay based on company size, but then every subsequent action should be the same. I’d like to merge the branches after the delay, but I can’t. I have to build all of the actions twice. If you have a workflow that sends 5 emails with delays in between each of them, you have to create 18 actions instead of 9. And if you have another decision tree, it gets exponentially crazier. On the bright side, if you want to delete a workflow action in HubSpot, you don’t lose all the actions below it as you did previously. Currently in HubSpot we get visits, contacts, customers. For deeper traffic analysis, many of us rely on Google Analytics (GA). With the new reporting improvements, HubSpot is folding in things like bounce rate, new vs. returning visitors, and more. I’m not in the beta, so I can’t write a detailed review, but from what I can see, this will be a nice-to-have. 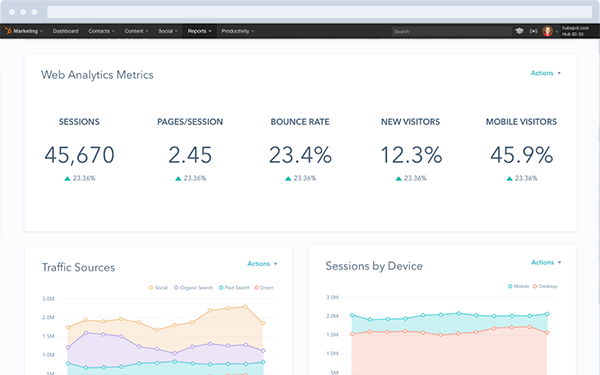 It’ll be convenient to quickly see key stats about engagement by device or bounce rate per traffic source right within HubSpot, but I’m betting we’ll still have to rely on GA for segmentation, real-time, and more. I worry a bit when I see HubSpot trying to fold in features that specialized products are better suited for (cf. HubSpot social vs. Buffer or HootSuite). Personally, I’d rather have HubSpot double-down on their attribution and ROI reports, which still need plenty of work and fall more squarely within their wheelhouse. Type in tasks, check them off, add comments. Pretty standard. So far, the only thing unique I see about Projects is that it lives inside HubSpot. 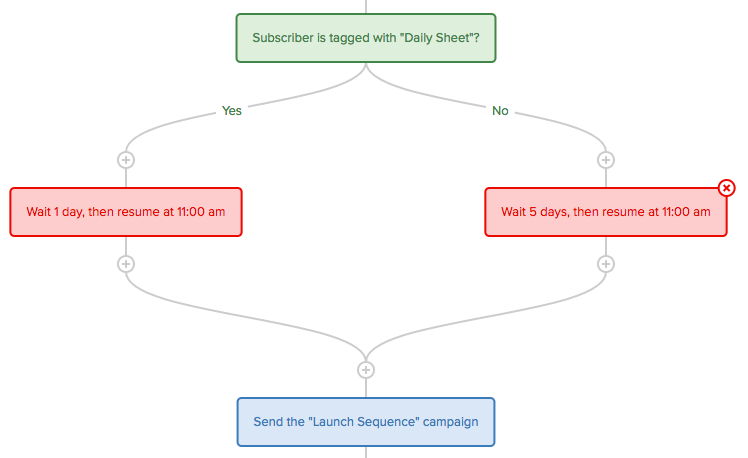 But do I really need or want a to-do app living in my marketing automation software? Probably not. 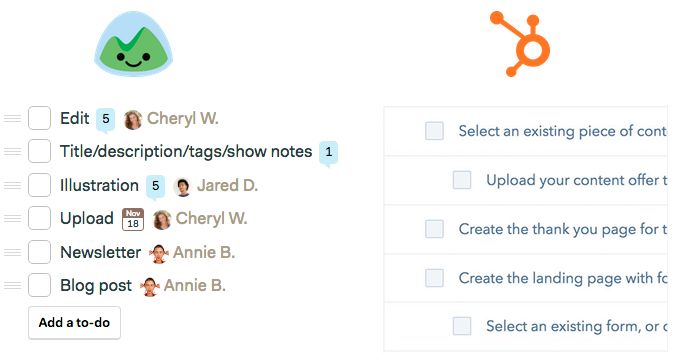 I like giving people on my team the freedom to manage their personal to-dos using whichever tool works best for them. Some people use pen and paper, some use Remember the Milk, others use Evernote. For team projects, we live on Trello and Google Docs. We have Trello card templates for all sorts of things–product launches, blog post promotion, ad campaigns, etc. I don’t see a compelling reason to uproot and move all this stuff into Projects, especially since many of the marketing projects we work on don’t involve HubSpot at all. Is project management a pain I’ve been begging HubSpot to solve? Not in the least. But Projects isn’t about project management. It’s about knowledge transfer. I’ve been preaching for years that the product documentation is fantastic at telling you how to do things, but it doesn’t tell you what you should be doing. If you don’t have the right plan of attack, you can easily get lost in HubSpot. Project Templates help solve this problem in a big way. 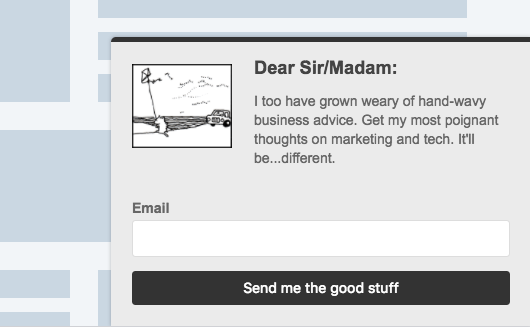 Of course, in order to make this work, you need ace marketers building project templates. Luckily, the Academy team has seeded the library with dozens of useful projects that tell you what to do and how to do it. I’ve browsed through many of them and they are very comprehensive. Agencies can create and prescribe projects to their clients. Team leads can prescribe projects for their team. I can prescribe projects for my students. I’m excited to make Projects a part of my course, Mastering HubSpot. I want students to be able to watch a lesson and then start implementing what they learned right away. Instead of giving them a PDF checklist or pointing them to a Google Doc, they can simply pull all the Mastering HubSpot project templates that I built right into their account. 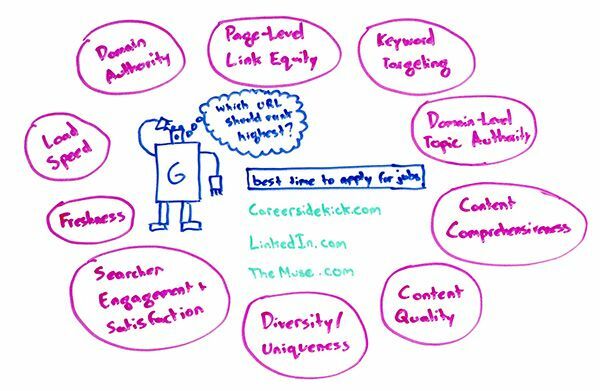 The tide has turned in SEO and content marketing. It’s no longer all about building links and squeezing out every last ounce of on-page optimization. SEO is all about writing what Rand Fishkin calls 10X content that comprehensively answers to people’s questions about a topic better than anyone else on the interwebs. According to Rand, Google seems to be overweighting raw content quality and comprehensiveness now more than ever. I’ve found this to be very true. So, if you’re going to be investing more time and energy into your content, you have to be smart when choosing and validating your topics and the new Content Tool helps you do that. I’m not currently part of this beta, so I can’t tell you how much of an upgrade the tool is over a spreadsheet plus AdWords Keyword Planner. I’ll report back once I’ve had a chance to play around. I must say, I’m a bit skeptical about letting an algorithm determine topics and assess volume and difficulty for me. Let’s just say the HubSpot Keyword Tool and I don’t have the best relationship. I’m also eager to learn which data sources the Content Strategy Tool uses for topic discovery and validation. I try to answer the question as comprehensively as possible since Google seems to love comprehensiveness. I make my content actionable and I try very hard to overdeliver. Much of my process and the principles I follow come from Nat Eliason and his fantastic 1 Hour SEO course, which I highly recommend. Why not make blog tool better? I’m not sure why Composer exists. It’s weird to write your content in Composer and then move it into the blog tool for publishing. Maybe eventually this will become the blog tool and the current one will go away? I’m not a user of the HubSpot blog tool, so maybe Composer really is solving a big pain. Not much else to say about this one. I’m stoked to get my hands on the Facebook Ads tool and to test out Meetings, Messages, and LinkedIn Sales Navigator with my sales team. Bookmark this post and check back for my candid thoughts. 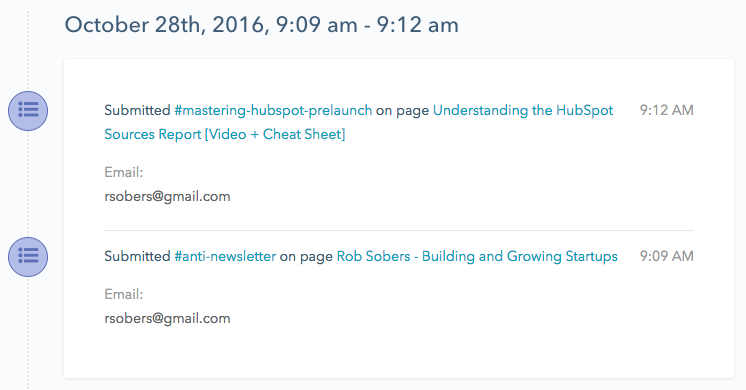 Also, be the first to hear when my new video course, Mastering HubSpot, is released!